Below you can view all the homes for sale in the Lake Crest Estates subdivision located in Marietta Georgia. 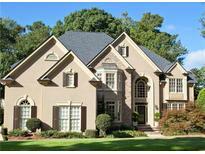 Listings in Lake Crest Estates are updated daily from data we receive from the Atlanta multiple listing service. To learn more about any of these homes or to receive custom notifications when a new property is listed for sale in Lake Crest Estates, give us a call at 404-998-4102. 3 Car Garage. Awesome Swim/Tennis Community. Must See! MLS#6512996. Heritage Ga. Realty. Roof & All 3 Hvac Systems Less Than 5 Years Old. MLS#6506278. Harry Norman Realtors. 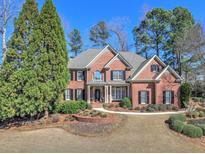 Gorgeous Hardcoat Stucco/Stone Home In Upscale Swim/Tennis Community Lake Crest Estates; Open Plan W/Over 5,300 Feet Of Finished Space W/6 Beds/5 Full Baths Including: Guest Bedroom W/Full Bath On Main, Stainless/Granite Kitchen W/White Cabinets, B.Fast Bar, B.Fast Area, Walk-In Pantry; Spacious Master W/Fireside Sitting Room, His/Hers Granite Vanity, Separate Shower, Whirlpool Tub + 2 Walk-Ins; Full Finished Daylight Basement W/Game Room, Media Room, Exercise Room, Built-In Bar + Teen/In-Law Suite; Screened Porch, 3 Car Garage, New Roof 2017/New Exterior Paint 2018. MLS#6503504. Maximum One Realty Greater Atl.. Spacious Back Deck (Trex) & Terrace Level Covered Stone Porch With Koi Pond. Must See! MLS#6129125. Hutson Realty Around Atlanta. Flat Spacious Backyard. 3 Car Garage. MLS#6127182. Keller Williams Realty Atl North.